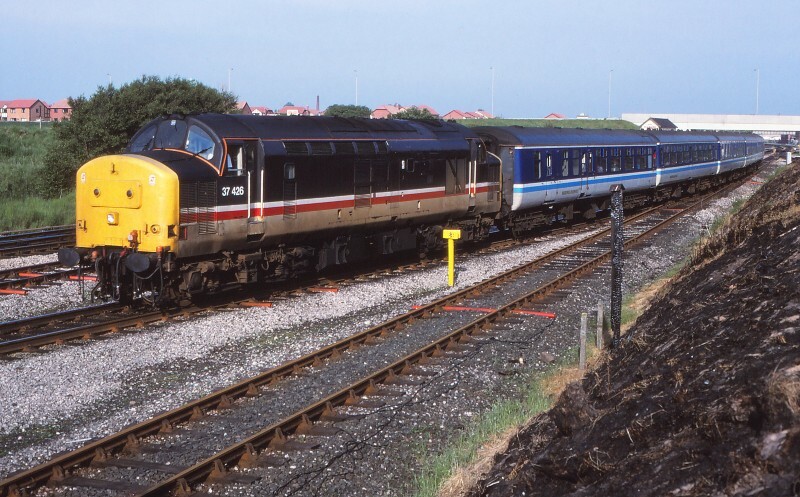 Martyn Hilbert's Railway Photography - Preston & District - 37426 at Kirkham North Junction. 37426 at Kirkham North Junction. 37426 takes the 17.12 Liverpool Lime Street to Blackpool North through Kirkham North Junction on the 6th June 1992. In the foreground is the start of the former down Marton 'Direct' Line which once took trains to the now closed Blackpool Central Terminus.